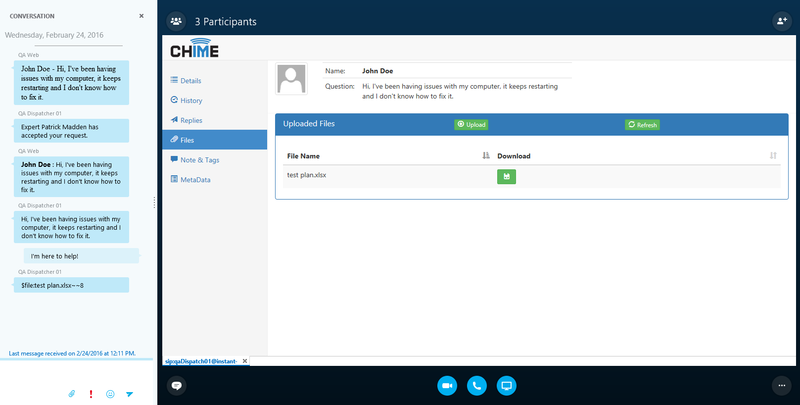 Note: Chime download contain a .zip file with the application installer, installation guide, and user guide. For release notes, visit the Release Notes page. 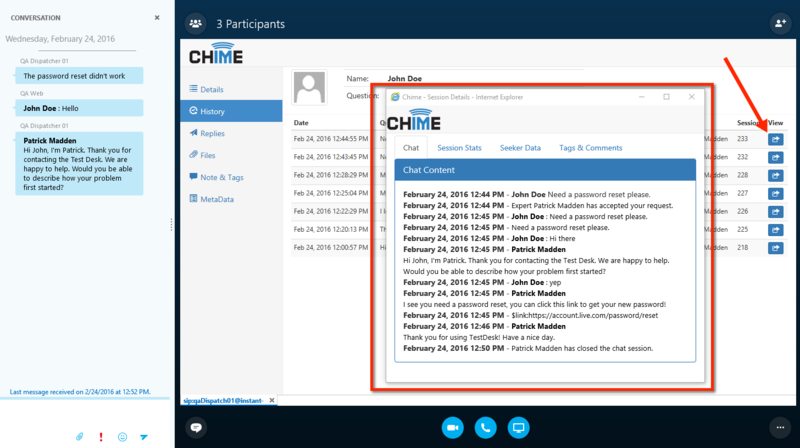 The Chime Alert Assistant is a plugin for showing enhanced alerts on a user's desktop. 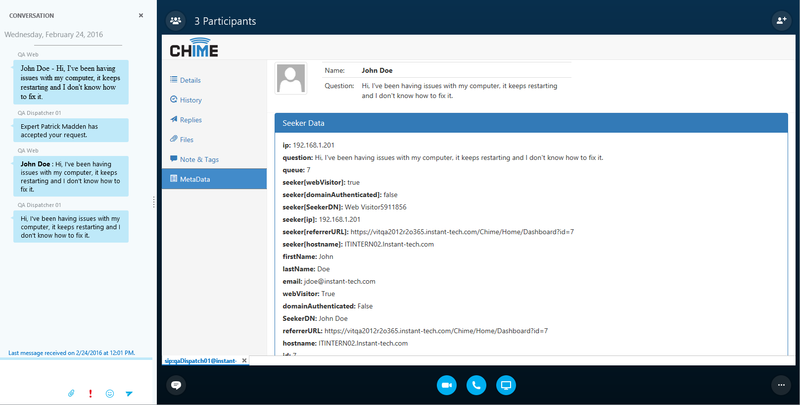 To learn more about Enterprise IM Alerts, visit the Chime Alerts page. 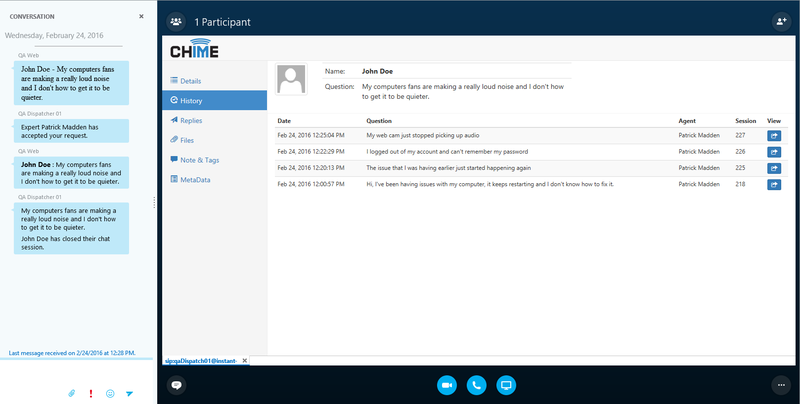 The Chime for Lync GDPR Tool is a Windows application that can be used in combination with Chime to overwrite or remove specific user data from the database without disrupting normal Chime operations. 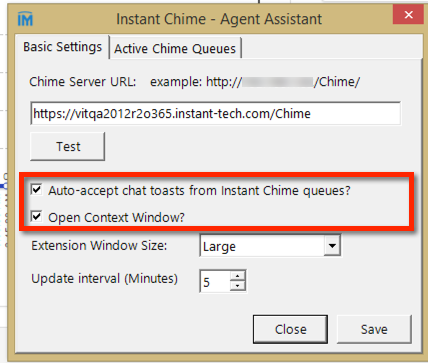 The Chime Agent Assistant is a plugin that gives the agent the ability to auto accept Chime chats. 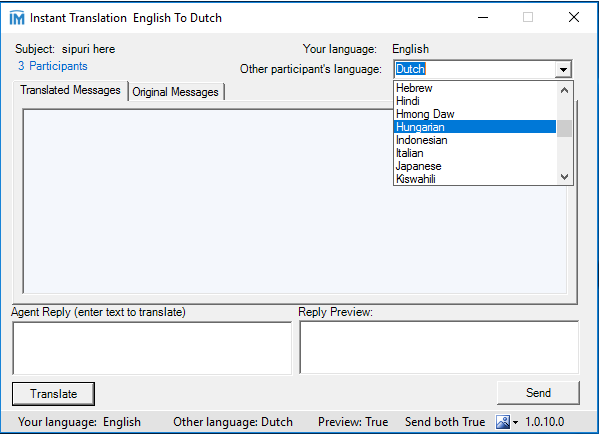 It can automatically open the agent context window extension. 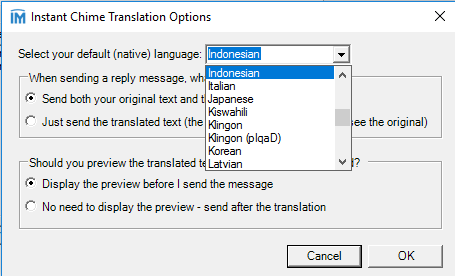 It also supports real time translation using the Microsoft Azure translation service. 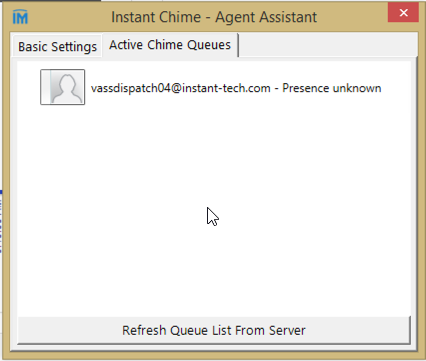 For Lync 2010 deployments, and cases where the client side Agent Assistant is not required. 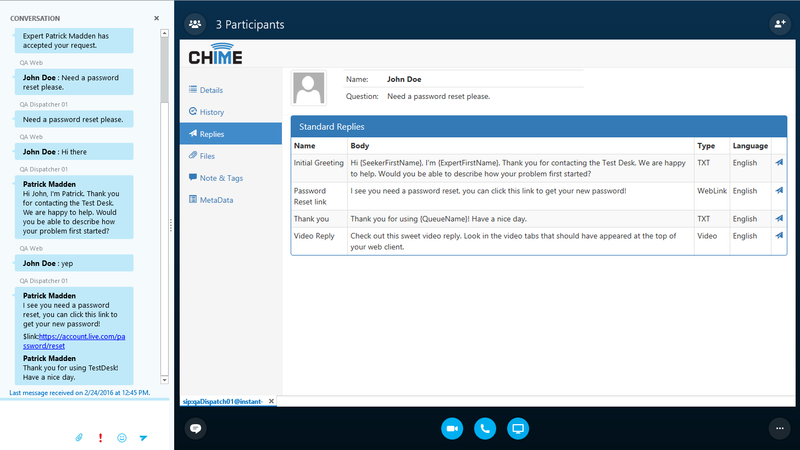 This .reg file will register the context window extension for use with Chime.